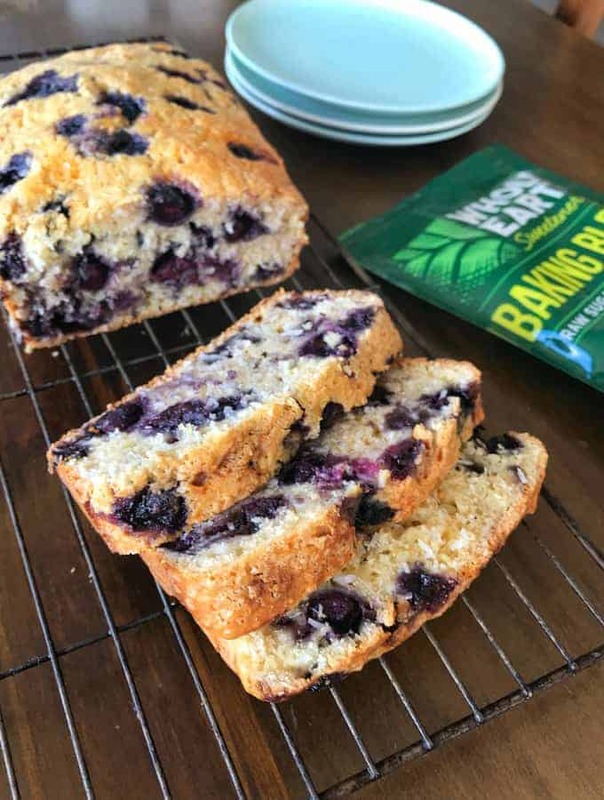 Check out my delicious recipe for Blueberry and coconut loaf, the perfect treat for morning tea with friends. 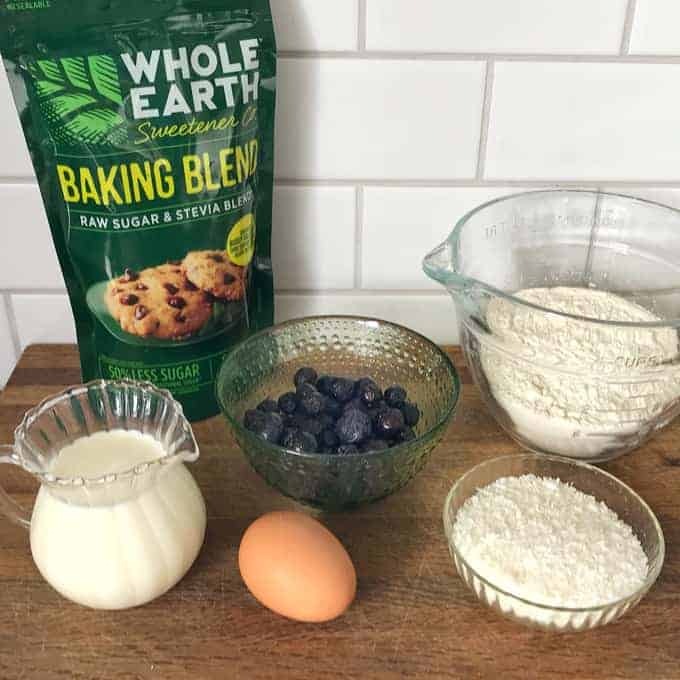 I have developed this easy recipe to show you how delicious baking with WHOLE EARTH Sweetener Co.’s products can be. I used the Baking Blend which is a blend of raw cane sugar and stevia. It bakes and browns just like sugar with 50% fewer calories than traditional sugar and is made from 100% natural ingredients. When baking with it you use the ratio of ½ cup Baking Blend to 1 cup sugar, as you only need half the amount to get the same sweetness as sugar! Therefore, your baking will have less calories and you can eat it without the guilt but still the great taste. This loaf is so easy to make, you just combine all of the dry ingredients then fold in the wet. 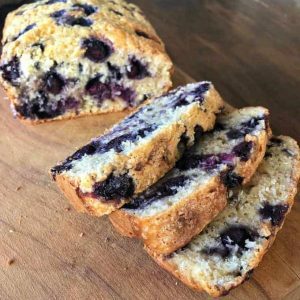 Be careful when you add the blueberries as you don’t want the whole loaf to turn purple. I used frozen blueberries but fresh would work well too or even frozen raspberries if that’s what you have on hand. The perfect treat for morning tea with your family or share over a cuppa with friends. This loaf freezes really well so you could double the mixture and once cooked wrap a loaf with baking paper and pop in the freezer until you need it. There are plenty more delicious low-calorie recipes and ideas at the WHOLE EARTH Sweetener Co.’s website. Preheat oven to 170°C fanbake. Add flour, coconut, baking powder and WHOLE EARTH Sweetener Co. Baking Blend into a large bowl. Stir together with a whisk. Make a well in the centre and pour in milk, egg and vanilla essence. Fold all ingredients together. 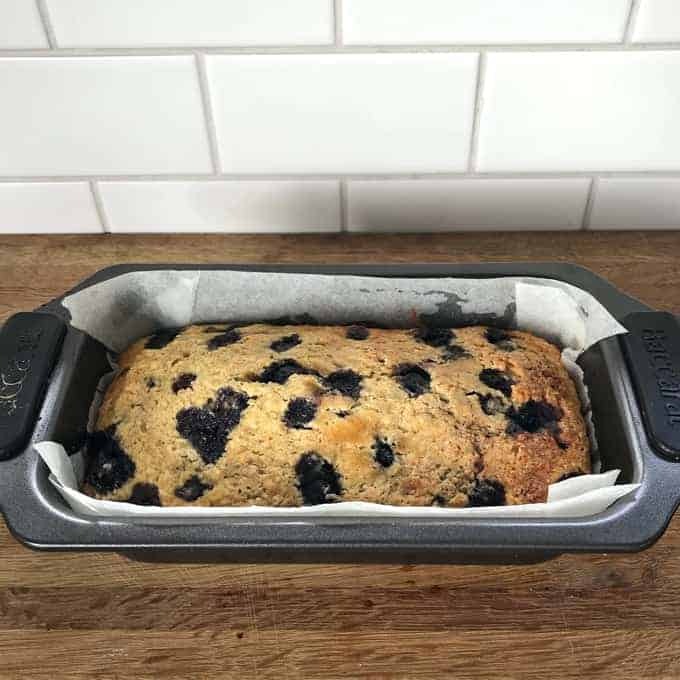 Add blueberries and fold again softly, pour mixture into a baking paper lined loaf tin. 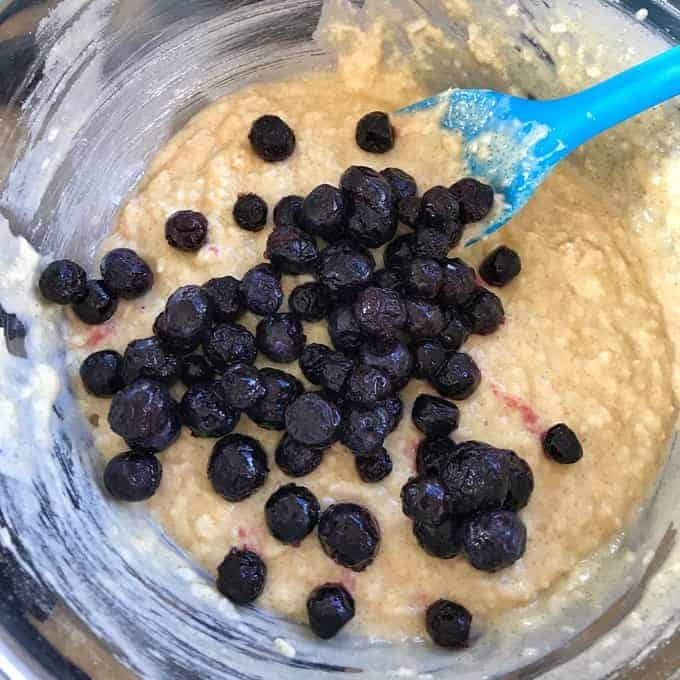 Add a few more blueberries to the top of the loaf and sprinkle over the Whole Earth Baking Blend. Bake for 50 minutes until golden on top and a skewer comes out clean. This delicious loaf is best served warm, I also love it sliced with butter. TIP: This loaf also works really well in the toaster, a great breakfast treat. 1/2 cup Whole Earth sweetener equals 1 cup of sugar if you want to use standard sugar instead. Thanks so much for stopping by to check out the recipe, I’m sure you will love it! Disclosure: This recipe was developed while partnering with WHOLE EARTH Sweetener Co. The content and opinions are my own.